If you’re an Irving, Grand Prairie, Grapevine, or Dallas area driver and you’re on the hunt for a midsize sedan interior the entire family can enjoy, our team here at Metro VW wants to introduce you to the Volkswagen Passat. The VW Passat interior provides everyone on board with an abundance of comfort, convenience, and style. Read further to take a look at what this fine interior has in store. The following dimensions are intended to provide you with a clear understanding of just how much room the Volkswagen Passat gives everybody inside the cabin. It seats five individuals comfortably and has an overall passenger volume of 102 cubic feet. It also affords all of its occupants with lots of wiggle room. We’ll start with the front. These seats have 38.3 inches of headroom, 56.9 inches of shoulder room, and 42.4 inches when it comes to legroom. In the back row, your passengers will enjoy 37.8 inches of headroom, shoulder room that measures at 57 inches, and 39.1 inches of legroom. Two particularly convenient aspects of the Volkswagen Passat interior have to do with safety. These are the Rear-View Camera System and the Blind Spot Monitor. The Rear-View Camera System comes standard and gives you increased visibility whenever you find yourself having to throw it in reverse to back in or out of a parking spot. The similarly helpful Blind Spot Monitor is an available feature that alerts you when a vehicle has entered one of your blind spots. Other conveniences in the VW Passat include the available USB ports that keep everybody on board fully charged and connected with one situated in the front and one in the rear for easy access from any seat. There’s also the Climatronic® dual-zone automatic climate control that provides everyone with plenty of comfort. Additionally, the VW Passat is available with SiriusXM® Satellite Radio for you to enjoy a variety of entertaining possibilities while you drive. Not only is it comfortable and convenient, the Volkswagen Passat interior also looks good. This sleek and sophisticated sedan has several features that boost its aptitude in this category. In terms of seating, the VW Passat has a couple options in order to satisfy different tastes. For instance, it comes standard with cloth seating surfaces and is available with V-Tex leatherette surfaces. Ambient lighting is also available throughout the cabin to add an element of class and accentuate the interior’s sleek lines at night. For even more style in the day, the VW Passat features an available sunroof that showers the interior with sunlight. Wood textured aluminum appearance trim and a leather-wrapped gearshift knob are also available. As the above review makes clear, the VW Passat interior has plenty of qualities to effectively take your Irving, Grand Prairie, Grapevine, and Dallas drives to the next level. 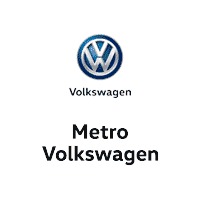 If you’re ready to discover what else it’s capable of, contact Metro VW to schedule your test drive.